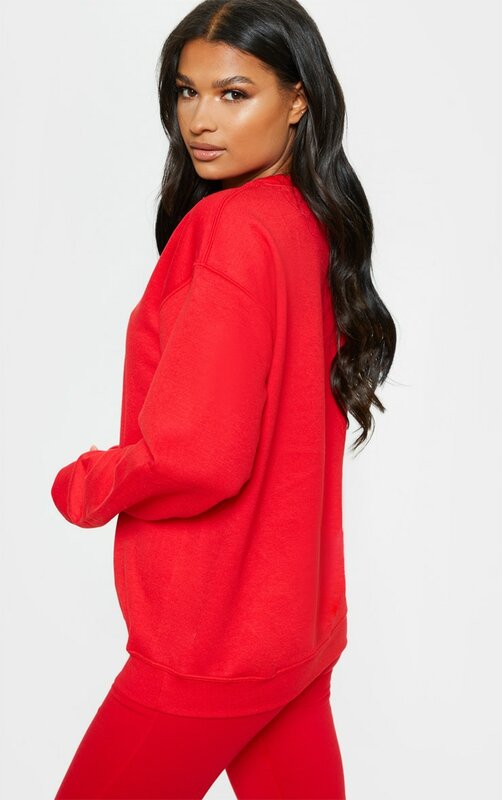 Make a scarlet statement off duty this season with this oversized sweater. 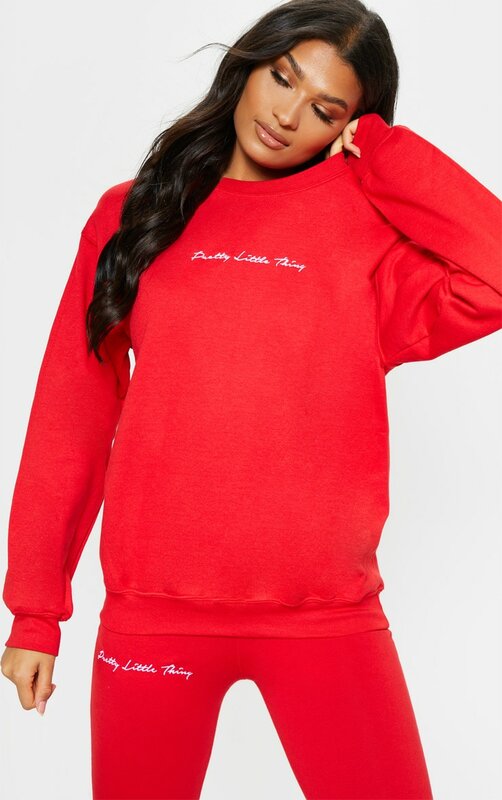 Featuring a bold red fabric, an oversized fit and contrasting white slogan stitching on the front. 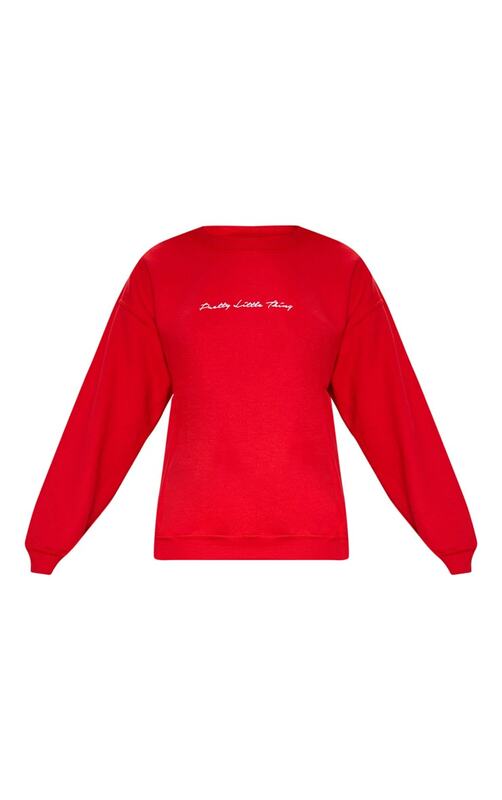 Team it with some red bike shorts and chunky lace-up sneakers for a bold outfit.